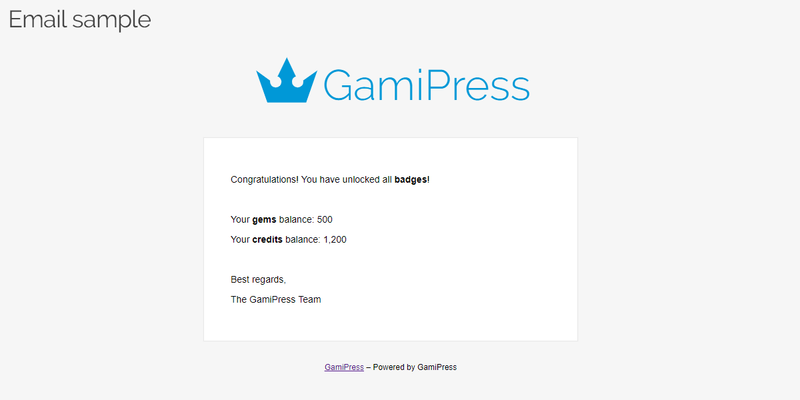 In just a few minutes, you will be able to build a personalized email to being sent on relevant events like reach a points balance, unlock an achievement or reach a rank among others. 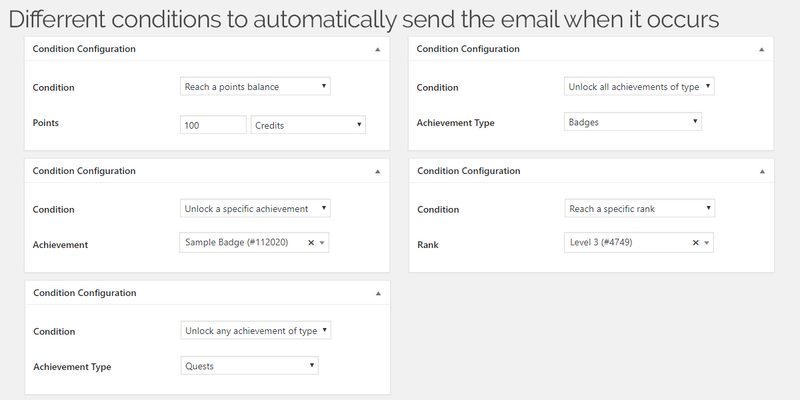 In addition, Conditional Emails includes a huge list of tags to let you display relevant information to your users like their current points balance, last achievements earned and current rank of any type. 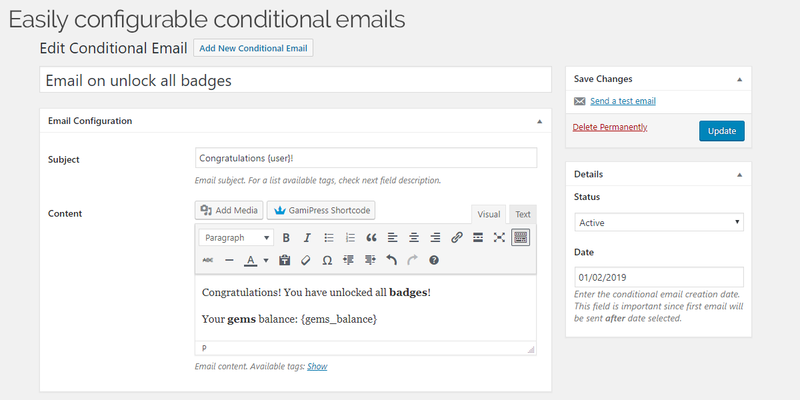 Send customizable emails when a certain event occur.